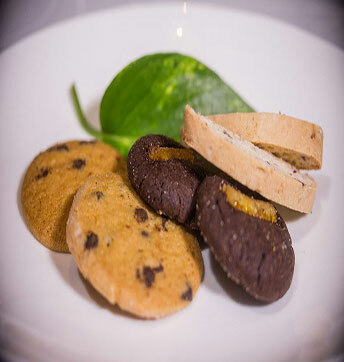 6 pieces of cookies of different flavors on a plate decorated. 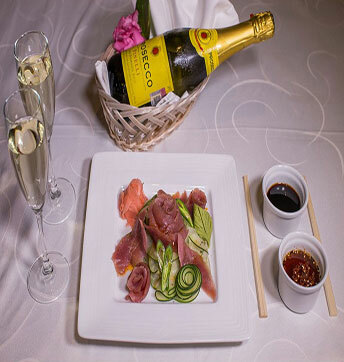 Pinelli bottle of wine prosecco and tuna sashimi. 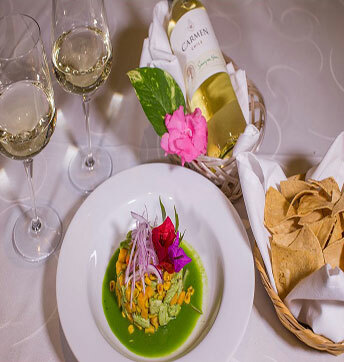 Bottle of wine Carmen Classic Sauvignon Blanc (Chile) Peruvian-style ceviche fish with chips. 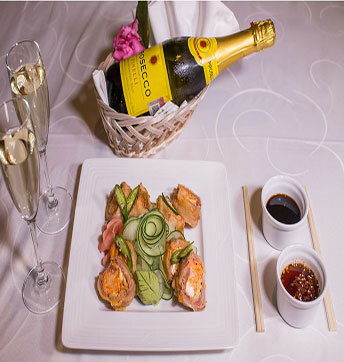 Pinelli bottle of Prosecco Serranito Roll (crab, avocado, cream cheese tempura tuna, topped with sauce serranito. 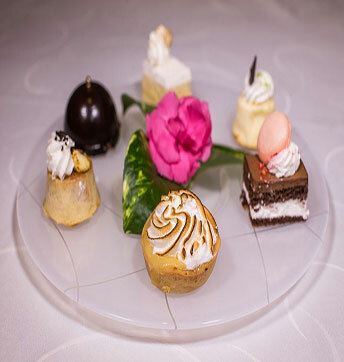 6 pieces Mini cupcakes in varied flavors. 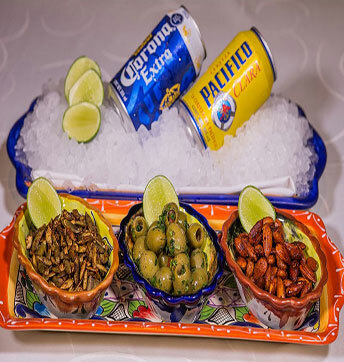 Two beers, mixed Snacks (seeds, almonds and olives with lemon and chili). 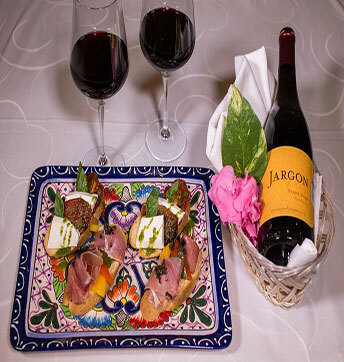 Jargon bottle of Pinot Noir (4 pieces with Serrano ham, dried tomato and Panela Cheese). 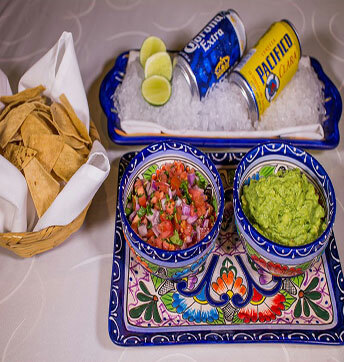 Two beers , served with guacamole , Mexican salsa and tortilla chips. 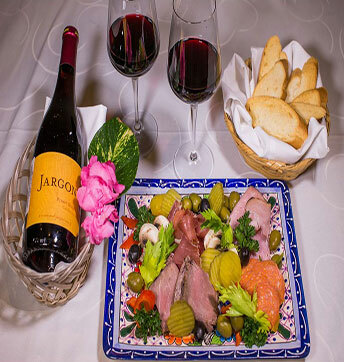 Jargon bottle of Pinot Noir ( Roast Beef, Black Forest, mushrooms, prosciutto, salami, black and green olives, roasted peppers). 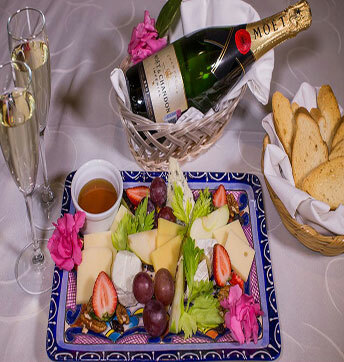 Bottle of Moët & Chandon Table cheese ( Parmesan , Swiss , Blue, Camber, Goat) decorated with fruit. 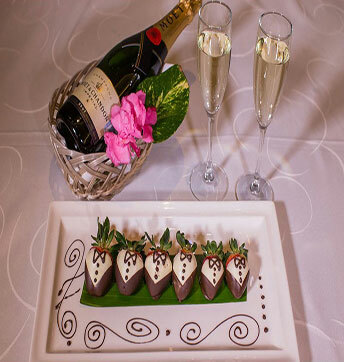 Bottle of Moët & Chandon (6 covered strawberries chocolate style smoking). 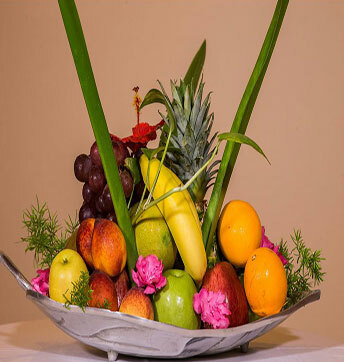 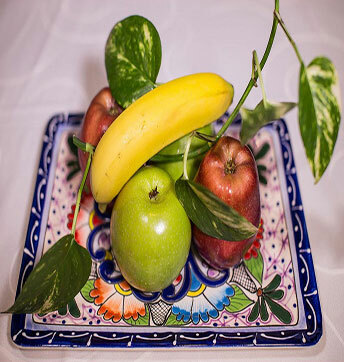 Assorted fruit bowl of seasonal fruit Luxury.